Fascia: Are your Muscles Really Hydrated? We all know how important water is to our bodies. It keeps us moving, it keeps us flexible, it saturates our joints, our tissues and is critical to life. It is the very reason we exist! 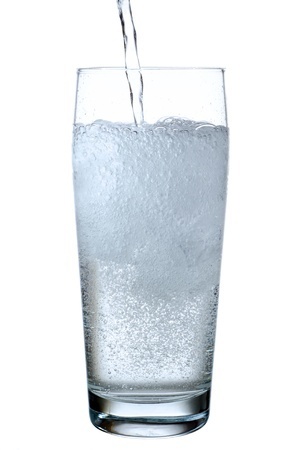 If you are reading this blog then I am certain you are drinking your 2 litres a day, but is that water actually being absorbed by your muscles or is it just running straight through? Having spent 3 days with Tom Myers discussing all things Fascia, it really drove home to me that good Fascia (connective tissue) health is not just important to movement, injury prevention and pain levels but it is actually a major factor in determining the hydration levels within your body too. Continue reading Fascia: Are your Muscles Really Hydrated? We have talked about Fascia, our connective tissue a lot over the last few months and I hope you all have an appreciation as to how key it is in the process of well-being, healing and injury prevention. That is all well and good but given that Fascia is everywhere and around everything how do we release it? In such an endless web where does one begin? How do we know where in the body a restriction of this Fascia is impacting on a current problem? Bring forward the sterling work of Tom Myers who so succinctly outlines how are muscles connect through fascia to form our ‘Anatomy Trains’. Knee Pain: Clear MRI but Knee Still Hurts? I had the pleasure of spending a day with Claire Robertson the Consultant Physiotherapist at Wimbledon Clinics yesterday focusing on Patellofemoral Pain, the potential causes and rehabilitation. You can read Claire’s biography here but it is safe to say she knows her stuff leading and releasing ground breaking research in this area. This leads me to today’s blog, what do you do if you are suffering from knee pain, the MRI is clear but your pain is very real? Continue reading Knee Pain: Clear MRI but Knee Still Hurts? Calf Strain: Bent Leg Rehab or Straight? thought he was cramping, kept playing and the next day and for a number of weeks afterwards he had quite a spectacular bruise…. cramps don’t bruise! First things first, what exactly is your calf? The calf muscle is a generic name used to describe the muscles at the back of the leg. In fact there are several muscles living in this neighbourhood and identifying which one has been damaged is key to fixing the problem and getting you back on form. Continue reading Calf Strain: Bent Leg Rehab or Straight? Given the degree of anterior tilt in Carl’s pelvis and also the fact that it is likely to have been in this position for a long time there is a risk that the Glute muscles have been inhibited – in simpler terms ‘turned off’. 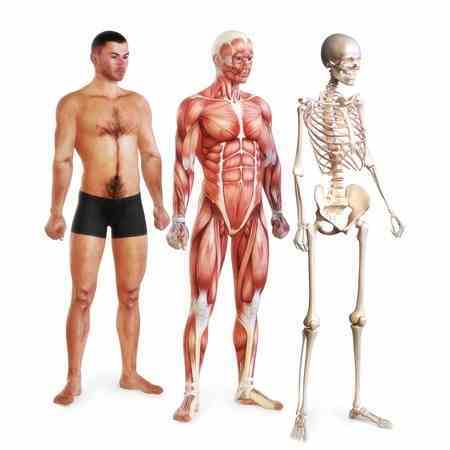 This is due to the process within the body which involves the muscles working in antagonistic pairs i.e. when the muscles on one side of joint contract, the muscles on the opposite side relax to allow ease of movement. Given Carl’s hip flexors have been contracting hard for so long it is possible that the Glutes have been constantly receiving messages to relax which over a sustained period of time have left them lethargic and lazy letting the hamstrings do all the work. This is a key movement in the golf swing. In order to get the amount of torso rotation required in the golf swing it is not enough to simply rotate at the lumbar spine as this only gives you about 40 degrees on average. The thoracic spine can rotate up to 30 degrees so it is vital that we have good range of motion in this part of the spine to get maximum rotation and therefore power into the golf swing. Given Carl’s lack of movement in the thoracic region in our tests last week I am keen to test the rotational aspect today. Firstly I started with reassessment of Carl’s hips which showed a real change, both hips are now aligned relative to each other, i.e. no rotation and in addition the degree of anterior tilt has reduced by about 30%. On discussion with Carl he described how he can physically feel this change, his abs feel like they are ‘on’ and he feels them engaging in his day to day activities where he had not felt them before. I then moved on to test Carl’s Glute firing pattern. 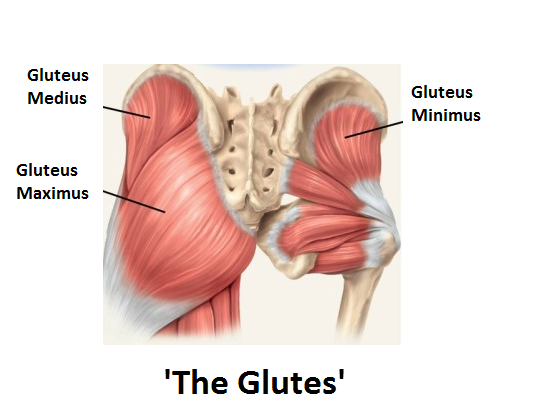 On both the right and left side it was evident that the Glutes are not acting as the main hip extensor – something we need to correct as soon as possible. Next we moved on to the upper body where on assessment of Carl’s cervical spine/neck there is still a level of restriction and his head is still sitting slightly forward although Carl has reported some improvement in his neck stiffness which is a start. Carl’s shoulder girdle is still of concern and this is something I plan to work more deeply on today. In addition to his Pectoralis (Pec) Major and Minor being overly short and tight his Biceps are so contracted that his elbows are slightly flexed when in a relaxed position. 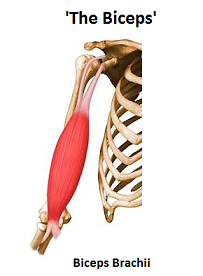 Although not a primary function of the Biceps Brachii muscle, it can impact on the Shoulders range of movement given its attachment to the scapula. In Carl’s case I see this as an additional layer of dysfunction causing the rounding of his shoulders and the lack of scapula control we have seen so this is something we need to address to fully balance out his upper body. Today I will continue to work on releasing Carl’s Hip flexors & lower back using a variety of soft tissue and neuromuscular techniques. In addition I have also included some proprioceptive/retraining work on the Glute muscle group to help kick start Carl’s training and homecare to get more stability in his hips. Moving on to the upper body we will open up Carl’s chest and release his neck to restore normal range of motion. Today we will also focus on some retraining techniques on his lower and mid trapezius to start getting more control into his scapula. Thoracic rotation is something we will address in a later session as until we get more balance through the chest, neck and back I think we will make little headway. Finally I ended today’s session by applying a functional Kinesio taping to Carl’s shoulder to bring it into a neutral position. This is not a therapeutic taping but will give Carl a sense of where his shoulders should be, and will also help over the next 3-4 days as he starts his homecare. I don’t want Carl to rely on this taping but I think it will be interesting to see how it feels to him and also how it felt while hitting balls given he is going straight to a coaching session today. Given Carl can already feel physical changes within his body we discussed what this means for his golf game. It is important that Carl continues to train through these changes as there is a risk that his game will appear to get worse as his body starts to react to these changes. The compensating actions that he has been doing to make his swing work we will no longer be required but he will have to relearn how to hit the ball with his more balanced, stronger body. Carl agreed that he would be continuing to work on his swing with Andy Traynor through our period of body work. Our next session is in January, in the meantime Carl is going to continue to progress with the homecare and I am hoping to see a marked difference in the new year. Today I met Carl Watts for the first time and what a treat that was! Carl is a friendly, enthusiastic man who is truly motivated to achieve his goal on getting that tour card back. We started with a full bio-mechanical assessment. I try to assess each client as if I didn’t know what sport they played as not every golfer fits the stereotype. It’s important to look at each person with fresh eyes rather than jump to the ‘things’ you would expect to find. On initial view of Carl in a resting standing posture there is a clear imbalance between right and left. His right shoulder drops down and this follows through the rest of his body resulting in a rotation towards the left. Another point of interest is that Carl’s breathing seems very shallow and is very much so an upper body breath with little use of the diaphragm and abdominals. Carl has a posture summarised by Janda as Upper Cross Syndrome, see illustration below from www.erikdalton.com, resulting in restricted range of motion (ROM) in his neck. What is more unusual is that this is more pronounced on this right side but is still present on the left to a lesser degree. This also translates to the lack of scapular control Carl exhibits on his right hand side compared with the left. Another deviation from the Janda model is that Carl’s head is less forward but points upwards as if trying to correct itself in some way but leading to even more tension on the back of his neck which is common complaint on discussion with Carl. Shoulder ROM restricted range of motion. Full Range of motion in wrists. 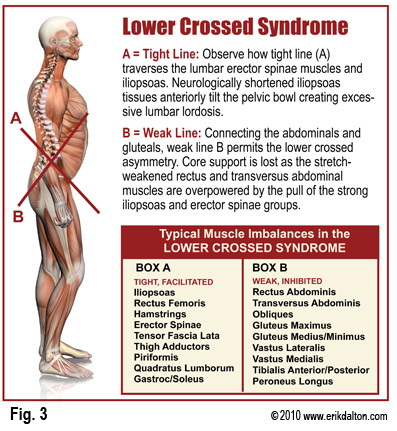 Carl has another condition summarised by Janda – Lower Cross Syndrome. 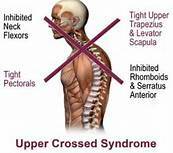 This is quite commonly seen alongside upper cross syndrome resulting in an ‘S’ posture. Again this is more pronounced on the right side and Carl complains of pain in his right knee when doing hip flexor strengthening. This also correlates to the rotation we see through Carl’s torso, although the left hip is not in a posterior tilt, it is dropped back compared with the right. On assessment Carl’s Rectus Femoris muscle is tighter than his Psoas so we will start here. Carl’s lower back is stiff and lacks movement. This lack of movement is evident through the lower and more so into the mid thoracic spine. On flexion of his trunk there is little to no movement in this region. Hip flexion is restricted and hamstrings are taut but not short, the anterior pelvis tilt is likely to be causing this apparent lack of flexibility. In addition Carl’s hips are both laterally rotated and his ankle range of movement is very restricted particularly in dorsi flexion. On discussion with Andy Traynor, Carl’s coach, my findings match up nicely with what Andy is seeing in Carl’s swing. His lack of hip stability and flexibility is manifesting itself in a loss of power in Carl’s downswing as his body moves to compensate/re-balance in spite of his restricted movement. The number one priority for Carl will be getting his core and hips stable, strong and flexible and his home care reflects this. I also feel that this restoration of balance in the hips may resolve some of the lower and upper body issues we are seeing. The main focus of today’s treatment is to begin work on correcting Carl’s hip alignment. I used a variety of techniques to release the hip flexors and lower back. I also started work on engaging Carl’s diaphragm and abdominals to encourage a full and complete breathing pattern, this will be followed up by home care to start training Carl to use his core when breathing which will also help to start to correct some of the upper body issues we identified today. Check out Andy and Carl’s blog to find out how ‘The Experiment’ is going! 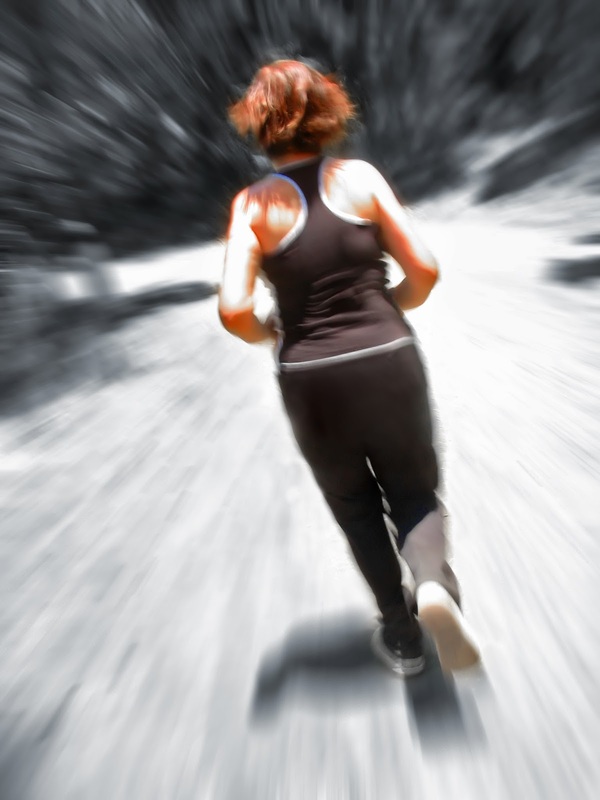 What are the Benefits of Sports & Remedial Massage Therapy? This is a question I get asked on a daily basis, along with statements like ‘but I don’t do sport !’. Although ‘Sport‘ is in the name there is no need to be a sports person to benefit from this treatment. The term Sports Massage was coined as it was a therapy originally used to prepare sports men and women for events. It ensured these athletes performed at their best, kept injury at bay and to recovered quickly from training and events. It was not long before people realised that this treatment could help anyone with soft tissue issues (think of your sore back, stiff neck and general aches & pains) and it moved to the mainstream. SRMT involves a wide variety of techniques that have different effects on the tissues. Many of the techniques involve hands on massage/manipulation of the soft tissue to make a physiological change e.g. lengthening shortened muscles, breaking down scar tissue, releasing trigger points and improving circulation. It also involves techniques that work directly with the Central Nervous System to turn muscles on/off where they have become extremely tight or extremely lax. Nowadays it is not uncommon for your therapist to use tools, tape and more as part of your treatment. All this and it doesn’t stop at muscles, we also focus on tendons, ligaments and fascia to ensure you have full range of motion and a balanced posture to keep you functioning at your best. The key to the effectiveness of a Soft Tissue Therapist is in their understanding of the anatomy, physiology and biomechanics. It is with this knowledge that they can choose the best techniques to apply to the right parts of the body to get real results. This will mean that your therapist will fully assess you before they begin to ensure they understand the root cause of your problem. We don’t want to turn a tight muscle off it is the only thing keeping you upright! At a physical level SRMT increases circulation, warms tissues, improves drainage, separates fibres, breaks down scars/adhesions and releases fascial restrictions. These effects can speed up the healing process, relieve pain, reduce stress, release tension and correct imbalances within the body. In addition massage is also proven to release endorphins – the natural feel good factor, leaving you walking away with a wonderful sense of well being. With all this mind you can see why Sport & Remedial Massage Therapy has become such a key part in people’s health plan. So go on, add regular sports massage to your list of ‘must haves’! If you are still unsure if it can help you then simply get in touch – pentony@pamofit.co.uk.